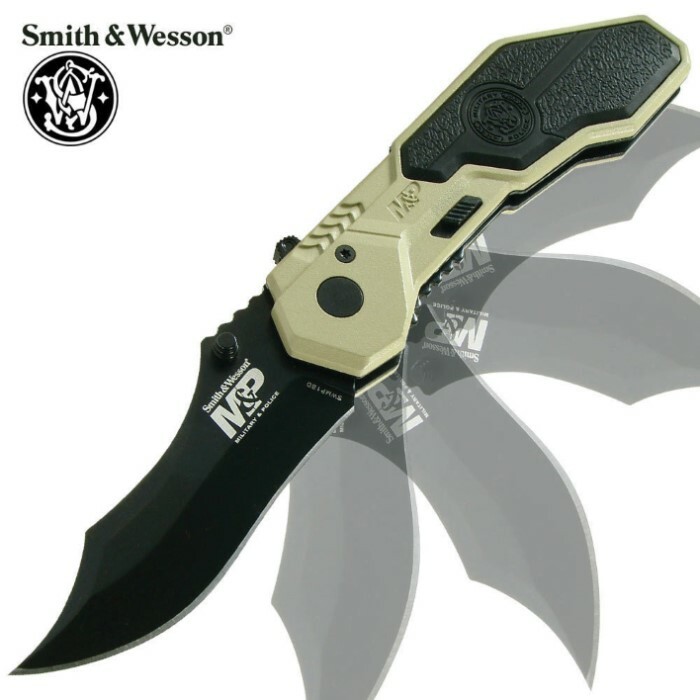 Smith & Wesson M&P Assisted Opening Pocket Knife Tan | BUDK.com - Knives & Swords At The Lowest Prices! Smith & Wesson has you covered with this Smith & Wesson MP Series One Tan pocket knife, equipped with a modified clip blade constructed of black-coated stainless steel with Smith & Wesson MP etching. This version has a striking tan and black aluminum handle that will get you noticed. Engage the rapid-release M.A.G.I.C. assisted-opening mechansim with the thumb stud, and put this pocket knife to work.